The devices increase microcirculation, important substances are added to the follicle, which strengthens and accelerates hair growth. The weakened hair follicles become viable, healthy and able to grow tanks, mature hair. *A two year warranty applies to laser devices. A unique device for hair loss treatment that you can use at home – the only one currently available. The devices are LOW-FREQUENCY and provide laser light energy to the follicles of the hair; this light therapy is not harmful. 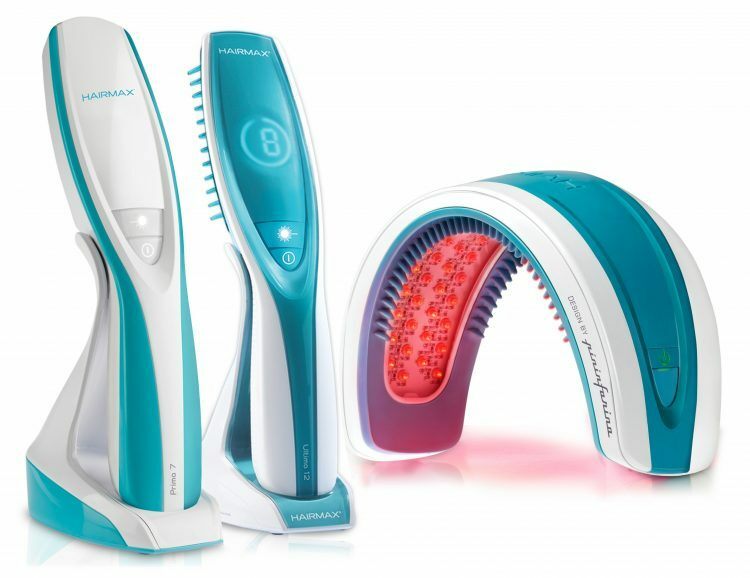 HairMax LaserComb Laser therapy is an effective alternative to medication-based treatment. Laser bands/combs are worn individually, and you can wear them wherever is comfortable for you; there is no need for permanent care from doctors or beauty professionals. PROVEN EFFICIENCY: Clinical data reveals that within just 12 weeks of the therapy, hair growth improved in 93 percent of consumers. More than 90 percent of the users were satisfied with the result. UNIQUENESS: this is the only laser for which the FDA (the U.S. Food and Drugs Administration) has issued a permit for a phototherapy course, meaning that such a course can be performed can be performed by a person at home. The effectiveness of the treatment has been scientifically proven and is based on more than one clinical trial. EASY AND SIMPLE TO USE: You can use the device effectively both on its own and with other products. Use it at home every other day; the session should last from 1.5 to 15 minutes, depending on the laser model you choose. GREAT PRODUCT MODEL: Beautiful design, comfortable to use. The American publisher Time nominated this product as the “the Invention of the Year”. WARRANTY: HairMax LaserComb products are under warranty against material defect and performance malfunction for 24 months from the date of purchase. How Does a HairMax Laser Band / Comb work? It strengthens the blood vessels, which improves blood circulation; it improves cellular metabolism. With the improvement of the blood flow, important nutrients are added to the follicles, which strengthen and accelerate hair growth. The laser improves the blood flow throughout the scalp, and weak hair follicles become healthy and able to grow dense, mature hair! WEEK 1 – 8: After the first procedure, consumers report that their hair has become more vibrant, more softer and healthier. The level of glossiness improves noticeably; a reduction in scalp itching and a significant reduction in hair loss are just a few of the other quickly noticeable benefits from using HairMax products. WEEK 8 – 12: According to clinical data, 45 percent of consumers begin to notice significant hair growth in a few weeks. 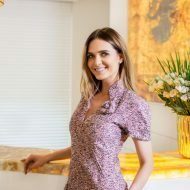 At the beginning of this process, you will be able to notice tiny hairs growing from the scalp, and experience a sense that your old hair has clearly and visibly increased in volume. In addition, a clear indication that HairMax laser devices are effective is the greater “obedience” of hair and its shimmering glow. WEEK 12 – 20: During this period, a further 45 percent of users begin to feel the benefits of HairMax products. This includes a significant decrease in hair loss, as well as noticeable growth of new hair. 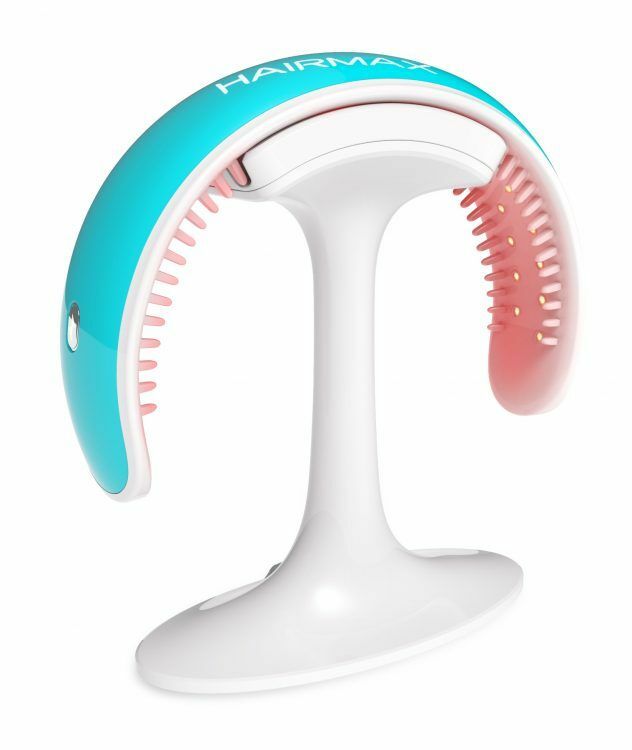 MORE THAN 20 WEEKS: Many users of the HairMax Band will already have benefitted in the first 12 weeks. For some users it takes more than 12 weeks to feel the full benefits of this product. Hair Max Laser Comb – 15 min, daily, 3 times a week. 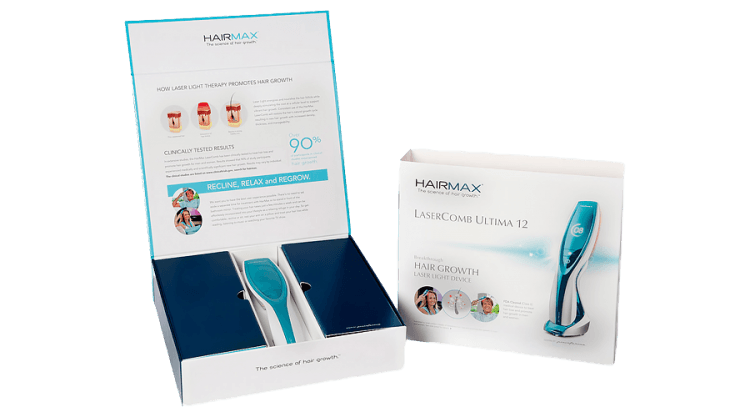 Hair Max Ultima 12 Laser Comb – 8 min. per day, 3 times a week, Hair Max Laser Band 82 for 90 seconds a day, 3 times a week, Hair Max Laser Band 41 – 3 minutes a day, 3 times a week. HairMax LaserComb® is the leader in hair treatment; the only convenient, safe laser device for therapeutic treatment at your home. You can treat your hair at a time convenient to you!